WordPress is a Content Management System (CMS) that currently powers 27% of the Web. One of every four websites you visit while on the internet is built on WordPress. This is an important fact since it’s used so widely, there’re lots of examples on the different uses for WordPress. There are thousands of plugins (plugins extend the functionality of WordPress just like MS Office or Google Chrome extends the functionality of your computer) that help you perform specific tasks in your WordPress built website. But with most Content Management Systems there’s a learning curve. It’s just like any other computer application where you have to take the time to learn how to use it. This is where BoldGrid comes in. BoldGrid makes WordPress easier to use. BoldGrid is a set of plugins (remember plugins extend the capability of WordPress) that make building a website easier, faster, and with more functionality out of the box. BoldGrid is a tool to use with WordPress. Yes. Every BoldGrid site uses WordPress. Does this mean that all WordPress plugins work with BoldGrid? Well, most of them, but the short answer is no. Because WordPress can be customized it’s difficult to make sure EVERY plugin works like it should. But we have tested the most popular plugins to ensure they work with BoldGrid. Okay, we know you aren’t familiar with WordPress it can be difficult to wrap your head around. So let’s thinks of a good analogy for BoldGrid and WordPress. 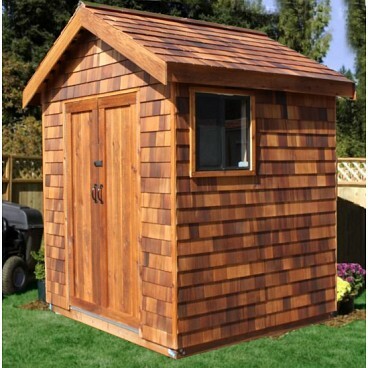 Let’s say you are going to build a shed in your backyard. You go to the nearest hardware store and look at your options. There’s a shed kit, and the store employee tells you everyone seems to love it, and other companies are building add-on kits for the shed. You can buy shelves, windows, and even lighting for your new shed. It’s awesome! You’re excited at all the possibilities and even start to think of all the cool stuff you can do with it. But if you’re like me you’re not “handy” and you start to think maybe it’s a bit too much work to attempt yourself. You don’t want to have to measure and cut all the wood out. Power tools just aren’t your thing. But the handy store clerk tells you not to worry! The kit comes pre-cut and drilled so all you have to do is follow the easy step-by-step instructions to build your new shed. Do you see it now? WordPress is the shed and without something to “help” you put together a shed by yourself may be a bit too much to undertake. But since the kit can come pre-cut, it makes your job building the shed fast and easy (BoldGrid is the pre-cut kit pieces to use in the shed). And the instructions? Well, BoldGrid comes with some great tutorials to help you along the way. Now that you know how BoldGrid and WordPress work together you’ll be up running, building your new site in no time. BoldGrid is the FAST|EASY way to WordPress! To find the best WordPress hosting you will need to check our hosting partner page.